The cat is out of the bag! SEGA has announced that the happy-go-lucky purple feline, Big the Cat, will be a playable character in retro 2D platformer Sonic Mania as part of a cross-promotion with officially-sanctioned fan game Big’s Big Fishing Adventure 3. 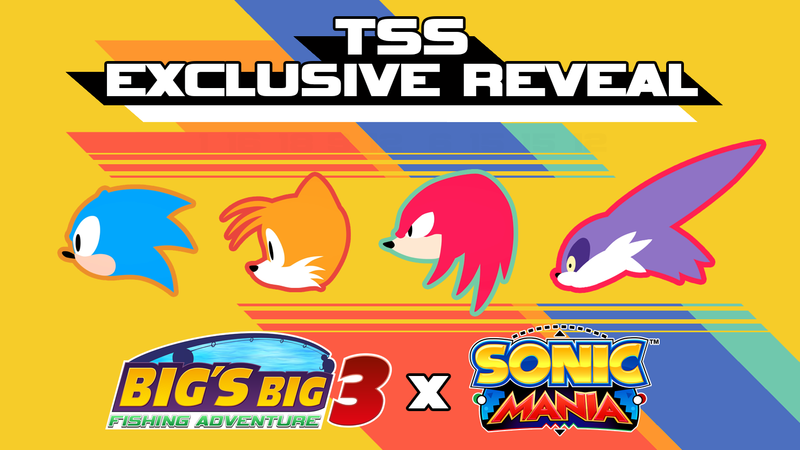 The news was announced after key members behind the development of Sonic Mania and Big’s Big Fishing Adventure 3 exclusively spoke about the upcoming tie-in, under condition of anonymity, to The Sonic Stadium. According to our sources, the crossover is intended to be a further nod of respect to the Sonic fan community and the collaborative role it is playing in shaping the Sonic the Hedgehog franchise. This reasoning makes sense when you consider the two games involved. Sonic Mania is being developed by a number of indie outfits including Christian ‘Taxman’ Whitehead, a former fan game community luminary that had developed his own ‘Retro Engine’ to the point where he ended up working with SEGA directly to bring Sonic CD to iPhone. 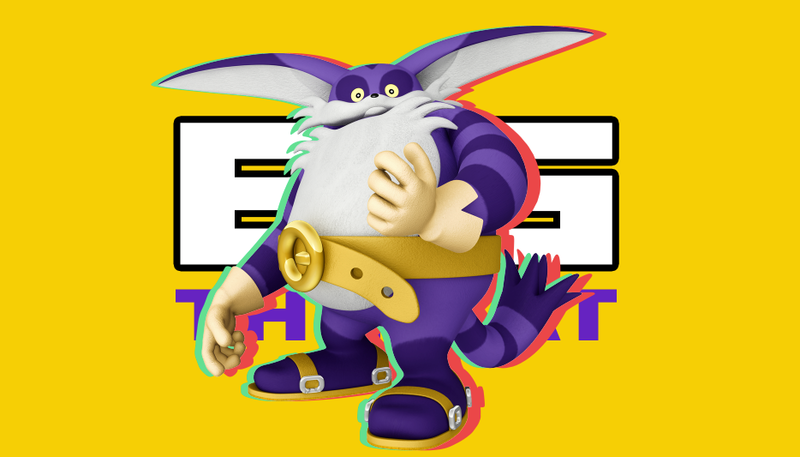 Meanwhile, Big’s Big Fishing Adventure 3 is a fan enthusiast project that aims to jovially fill in the plot gaps between Big the Cat’s numerous cameos in Sonic Adventure 2. SEGA’s social marketing team partnered with this fan group last year to announce the game’s existence. “We’re proud to confirm that after years of cameos and sitting on the sidelines, fans will be able to play as Big the Cat in a major Sonic the Hedgehog title once again,” wrote Jim Sizzlebaum, Digital Marketing Director at SEGA of America, in a statement to TSS after we approached the company with our findings. “After we saw the incredibly positive response to the reveal of Big’s Big Fishing Adventure 3, we realised that there was so much love for this character and an opportunity to explore his gameplay even more, using a traditional 2D platforming mechanic. Sizzlebaum added that Big the Cat’s gameplay in Sonic Mania would not stray too far from the Sonic, Tails and Knuckles trio – the idea will be for all characters to play largely the same, so no ‘Amy in Sonic Advance’ scenarios here. Instead, Big will be represented as a slightly larger sprite than the other three characters, which will add a small degree of added challenge by affecting the distance between Big and the badniks he will encounter. His double-jump move will be a ‘float’ manoeuvre using Big’s umbrella (like the one seen in Sonic Heroes). SEGA shared a number of assets that they are now sending out to games press to promote the new character roster. 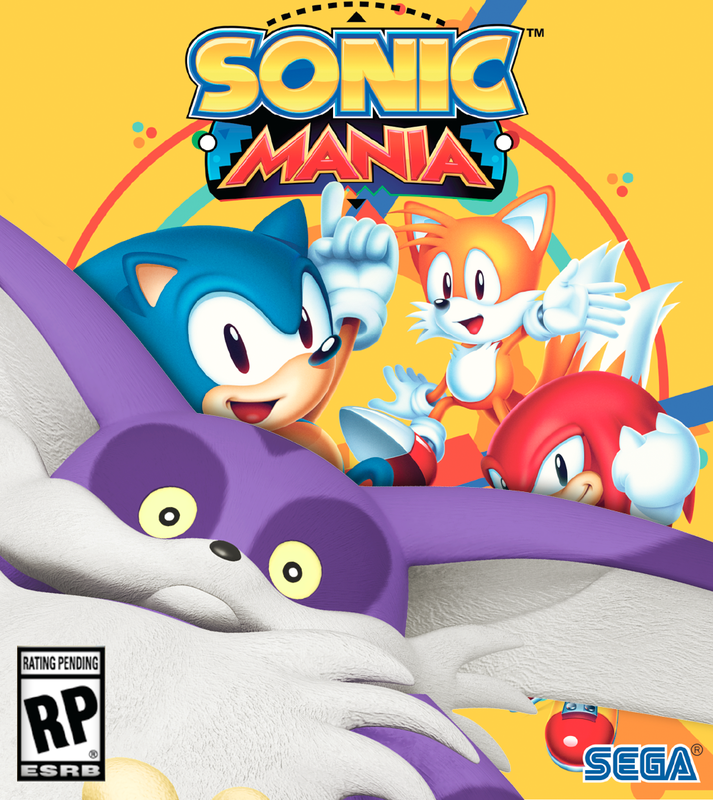 We’ve included them in this story – as well as an official ‘Variant’ cover image for Sonic Mania which features Big the Cat. See if you can spot him. UPDATE [April 2, 2017]: As much as we’d really love this to be real, this has been yet another amazing April Fools Day gag by your neighbourhood pals at The Sonic Stadium! Thanks for being such good sports – on here, SSMB, and social media – and for enjoying the day with us. Too bad it ain’t real. Funny one, TSS! 🙂 Happy April Fools Day. Yes, I can confirm that a player two controller will control Froggy. He will always be slightly out of reach of the Big character sprite. ? I’m picturing Big doing a spin-dash…. it would be OP….and scary as sh**. I’d pay a fee to download that. Aren’t Big jokes getting old? Big is pretty tired now. Big IS pretty tired now! Let’s leave him to his catnap. That was actually pretty funny, even though I totally knew it was an April Fools joke from the title. I would like to point out that it would’ve been better to announce something fake about the new Sonic Forces character, though. Maybe say that it’s Big’s sister or something like that – you know, a character that doesn’t exist, but we know never would. April Fools. Big wasn’t in the Classic Era.